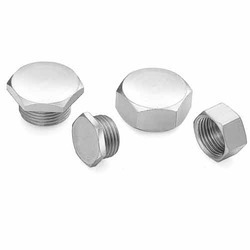 - Size: 1/8" to 1/2"
With a firm commitment to quality, our organization is involved in offering a wide ambit of Brass Plug. - Approx 15 Rs to 40 Rs per piece as per quality, size and market. Backed by huge industry experience and market understanding, we are involved in offering a wide array of Brass Stopper Plug to our valued patrons. Our in-depth knowledge and industrial expertise enable us to provide a distinguished range of Brass CP Doom End Plug. With a focus on the ever-evolving demands of our customers, we manufacture and exporter a wide range of Brass Stopping Plugs. - Widely used for preventing dust, dirt and water from entering into the enclosure or equipment. We deal in Flare Seal Plug. Riding on unfathomable volumes of industrial expertise, we are engaged in manufacturing a broad assortment of Brass Stop Plugs. In order to cater the variegated demands of our clients, we are offering an excellent quality range of Brass Stopping Plug.